Agar, or agar agar, is a gelling agent extracted from red algae and is commonly used to gel liquids and create foams. 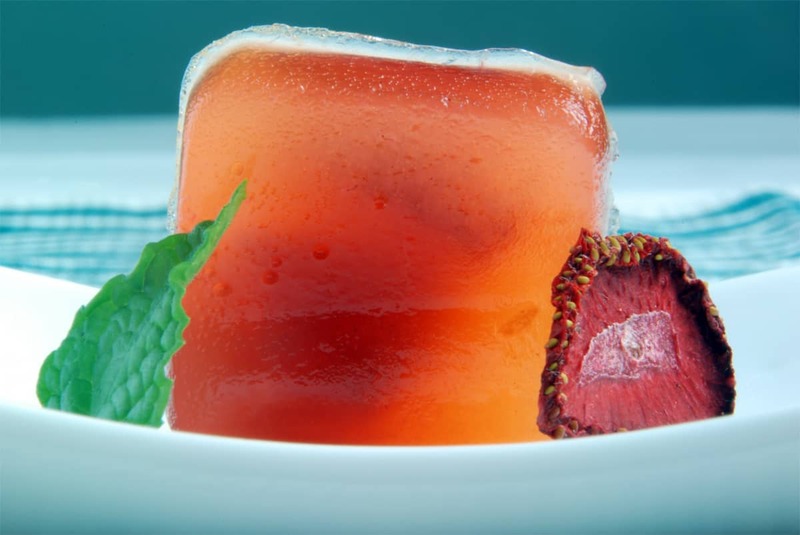 You can gel almost any flavorful liquid with agar including juices, sauces, and stocks. Agar can be combined with other ingredients such as gelatin, locust bean gum, or xanthan gum to create gels and foams of varying densities and textures. You can have fun and be creative! Since it is straightforward to work with and easy to find online, agar agar is a great place to start discovering modernist cooking. You can learn more about agar from my How to Use Agar guide or any of the articles and recipes below.